Who doesn’t love chocolate? Chocolate works when you’re happy, sad, tired, angry, stressed, or relaxed. It basically works all the time, in any situation. Because it tastes that good! And I’m happy to tell you that chocolate is also really good for you for so many reasons! Eating a moderate amount of chocolate is good for your physical and emotional health, and since it’s Valentine’s Day, you’ll want to celebrate this good news. (Not to mention all the chocolate that goes on sale after Valentine’s Day!) Read on for healthy reasons to eat chocolate. Chocolate contains compounds that help prevent heart disease. 2. It can lower your risk of stroke. The antioxidants in chocolate help with many things, including vision. Chocolate is a good source of important minerals like potassium, zinc, selenium, and iron. Eating chocolate can lower your “bad” cholesterol and raise levels of the “good” cholesterol. You still need to wear sunblock, but eating chocolate can help protect your skin form sun damage. Yeah, you already knew that! Eating chocolate activates the brain chemicals that make you feel good. 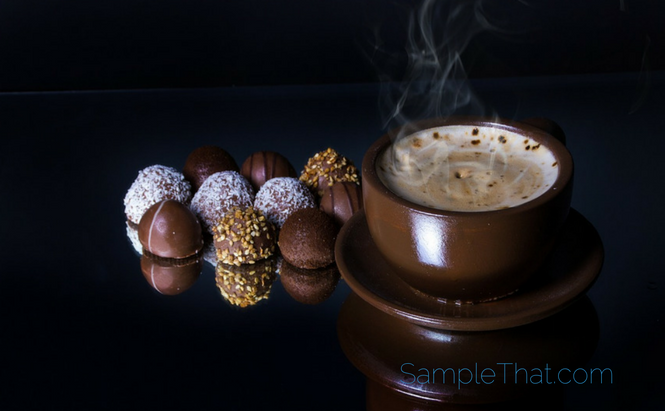 Eating a little bit of chocolate before a meal can help you feel satisfied sooner and prevent overeating. You already knew that, too, didn’t you? That’s because eating chocolate lowers levels of stress hormones. Eating chocolate can help you focus and feel energized. As if you needed any encouragement to eat chocolate! But now that you know about the health benefits, you can enjoy it without guilt. Just make sure to eat in moderation- and enjoy every bite!